« What is Plantar Fasciitis? The Christmas Cops Program is sponsored by the Plano Police Association and operated by Plano Police employees and volunteers. 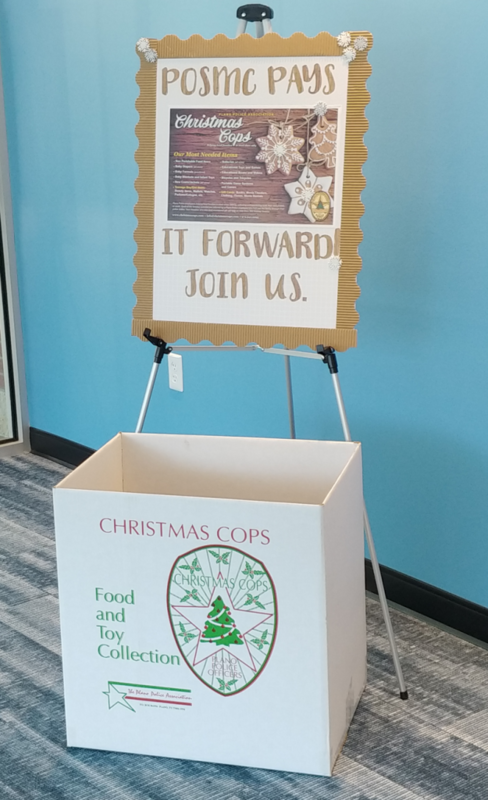 This program began in1984 by several Plano Police Officers who saw a need in the community for Officers to assist families in need in Plano during the Christmas season. Over the years, this program has helped thousands of local families during the holiday season with gifts of toys and food. Each year the number of families requesting assistance has increased and we anticipate an even greater need this year. Early in the year, Christmas Cops team members begin to prepare for the season by organizing our sorting and collection sites. In November, local businesses are contacted and collection boxes are placed throughout the community. In the weeks prior to delivery day, time is spent collecting toys, new coats, and non-perishable food items for families in need. These items are then inventoried and sorted based on the specific needs of each family. Several days before Christmas, Santa and his helpers in police uniforms make deliveries to families across Plano. Plano Police Chief Gregory W. Rushin, members of the Plano City Council, alumni from the Plano Citizens Police Academy, and family members of Plano Police employees have also participated in these deliveries. Throughout the year, Police employees come in contact with families in need and during the holiday season, these needs are often much more profound. The Christmas Cops Program assists not only the children in these families but the entire family as well with gifts and food. (3) There are children in the home who may not have a Christmas without our intervention. Our program generally does not assist families who are on other assistance programs unless there are extreme circumstances which would support this decision. We realize that we are not a long-term solution to the problems of families in need. However, we seek to help families that police employees meet through their work experiences. Non Perishable Food Items Baby Diapers (all sizes) Baby Formula (powdered) Baby Blankets and Infant Toys New Coats/Jackets (all sizes) Batteries (all sizes) Teen Items: Beauty Items, Wallets, Watches, Perfume and Or Cologne, etc. Educational Toys, Games, and/or Books Bicycles and Tricycles. Portable Game Systems and Games, Gift Cards, Books, Movie Theaters, Clothing, iTunes, Movie Rentals, Video Games. Collection boxes are picked up and taken to our warehouses for sorting and inventory. Come to posmc and donate today! This entry was posted on Thursday, November 29th, 2018 at 3:01 pm	and is filed under Latest News. You can follow any responses to this entry through the RSS 2.0 feed. Both comments and pings are currently closed.